Covered Bridge Farm is a small boarding facility in Western Howard County. 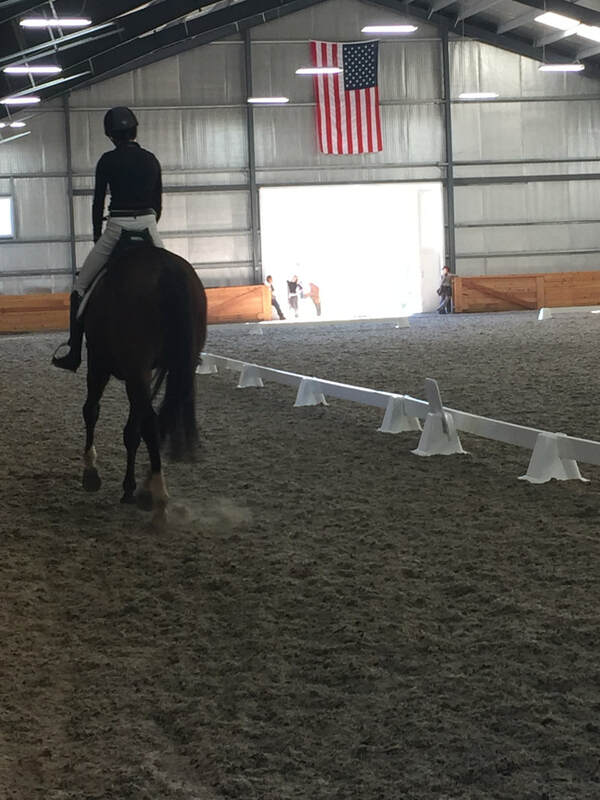 We provide superior horse care in a 15 stall stable, have a new indoor arena that is 200’ x 100’ in size, plus a large adjacent outdoor arena. 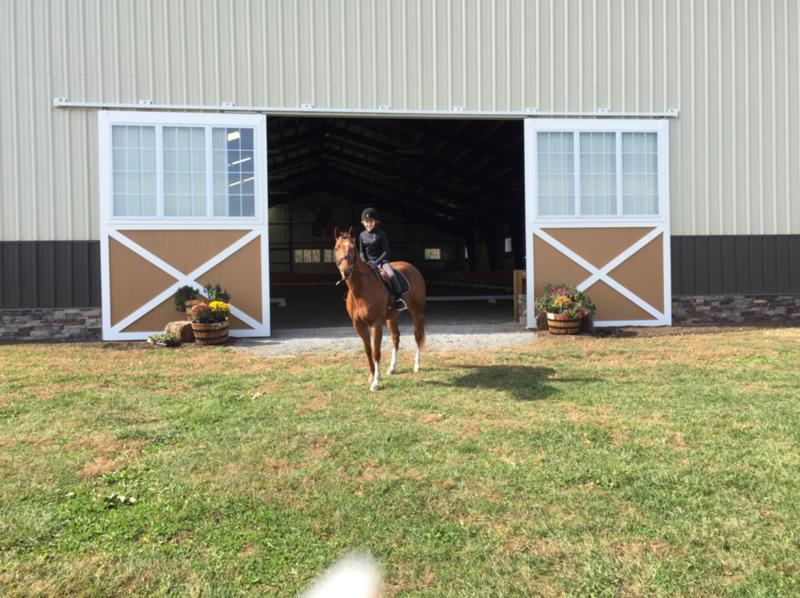 Our 135 acres provides miles of trails and hacking opportunities. Bring your horse and visit us. We love visitors! SHOW ARENA: 58.7m x 20m indoor arena with sand and fiber footing. WARM-UP ARENA: Fenced 200' x 150' outdoor arena with sand footing. 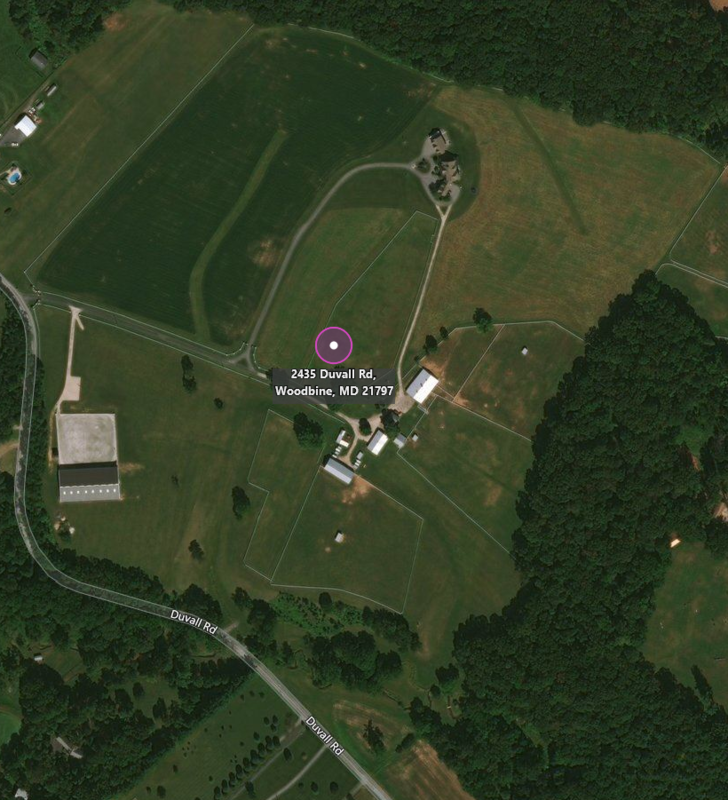 Click here to view the farm's show layout and directions. Contact the owner: Melissa Newsome at coveredbridgefarmmd@gmail.com. Aerial View of Covered Bridge Farm. Show facility is on the left.